My husband occasionally enjoys cartoonifying picture of our kids. This is his latest. The little man loves it! 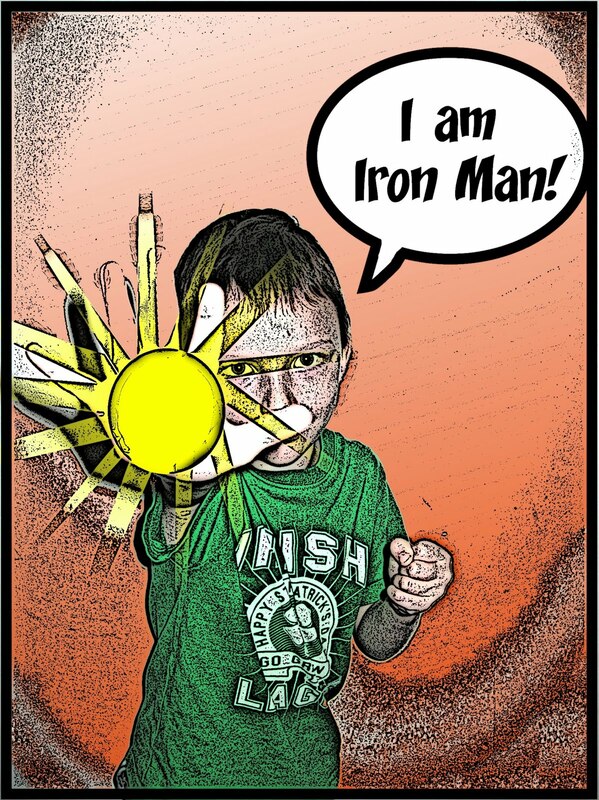 Not that he knows anything about Iron Man... :) But he does look pretty super! Very good and SUPER cute. 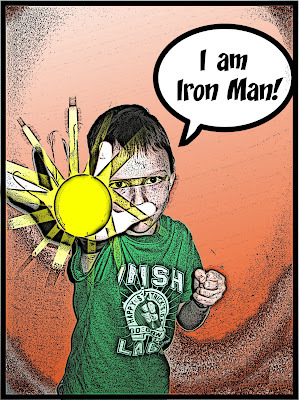 yes your little boy is super iron man! This is my first time visiting your blog and am very happy finally i found your blog! (via meg's musings post). I've been loving your etsy shop for soo looong and wonder if i can find you anywhere else. Lovely! Hi from Indonesia! Dita- Thanks so much for stopping by! So glad to see you here. Thanks also for all of your lovely compliments.